I truly think there should be a Chinese-version of Diners, Drive-ins and Dives on the Food Network. Think of it, most, if not all non-fine-dining Chinese restaurants are a diner or dive of some sort. The food is generally inexpensive and some real gems are just waiting to be discovered. Instead of the catch-phrase "That's Money", maybe the host can say "Jeng!" ("Excellent" in Chinese). How about a fu-manchu instead of a goatee? And instead of a 67 Camaro, maybe the host could drive a Toyota Corolla courtesy car! Oh the possib ilities... Well, on my version of the show (on a blog that is), we found ourselves at City 1 Cafe, tucked inside King Edward Mall in Vancouver. 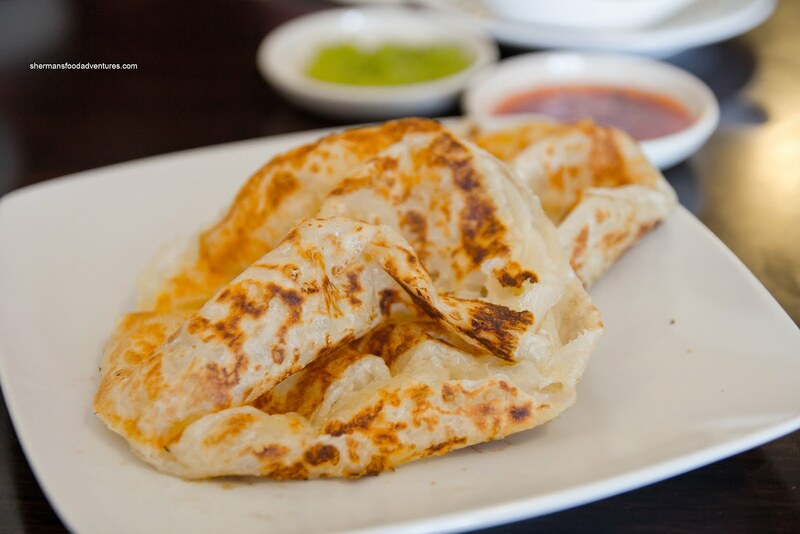 From the outside, it would be hard to guess it serves up Malaysian cuisine. Indeed it does and the place was pretty full during a weekday lunch hour. After a brief wait, we got a table and quickly ordered. 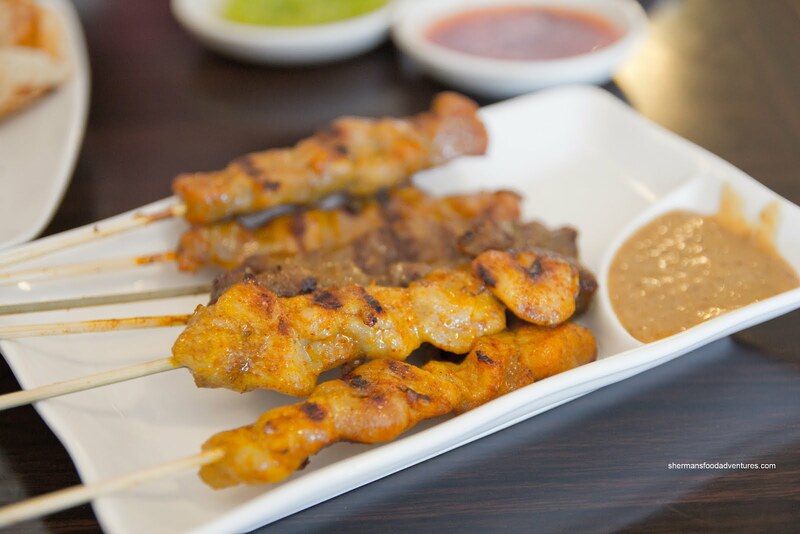 We started 2 of each meat with the Satay. These were rather small, but properly cooked where the meat was moist. There was a slight char that added a nice flavour as well as the curry marinade. The dip was peanutty and sweet with a smooth texture. Personally, I like a chunkier peanut dip. I decided to add a Laksa as well and it was a pretty modest portion. The broth was okay with lots of flavour, yet lacking a bit in depth. I did like the hits of coconut milk and dried shrimp though. There wasn't a whole lot of noodles and there was only the occasional ingredient to be found. 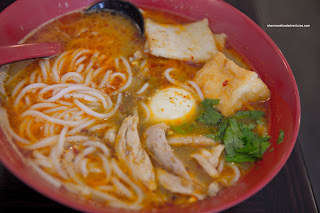 An average Laksa in my books. 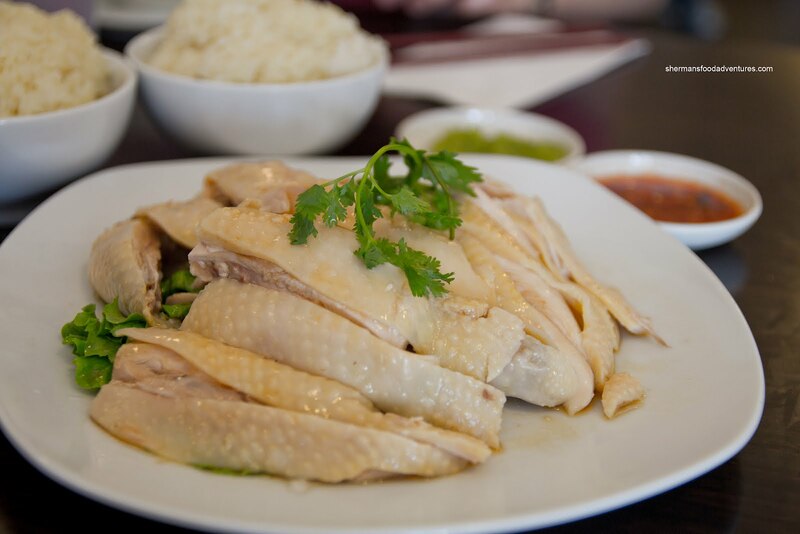 For the main event, we got a Half Hainanese Chicken with 3 bo wls of chicken fat rice. By virtue of using free-range chicken, the meat was naturally chewier. It was sufficiently moist considering this. It was prepared fairly well where there was a layer of gelatin underneath the skin. The grated ginger and onion condiment was on the saltier side as well as the chicken rice. However, the rice had a nice chewy texture and a gingery/nutty quality to it. Lastly, we added an order of the Curry Beef Brisket with a side of Roti. Once again, the portion was small with only 6 pieces of beef mixed in with 4 large chunks of potato. The curry was thin and lackin g in depth. It was starch-thickened which made it more of a Chinese curry than anything else. We did like the Roti though as it was crispy and light with good colour. However, it could've been a larger size as it was not enough for the amount of curry. Okay, as you can ascertain from the post, the food was acceptable, but it definitely was Chinese-inspired. If you are an authenticity snob, then you'd best move along. Furthermore, the portion sizes are quite modest-to-small. Between Viv and I with the 2 kids (who don't eat a whole lot), we dusted off all of the food and could've eaten more. 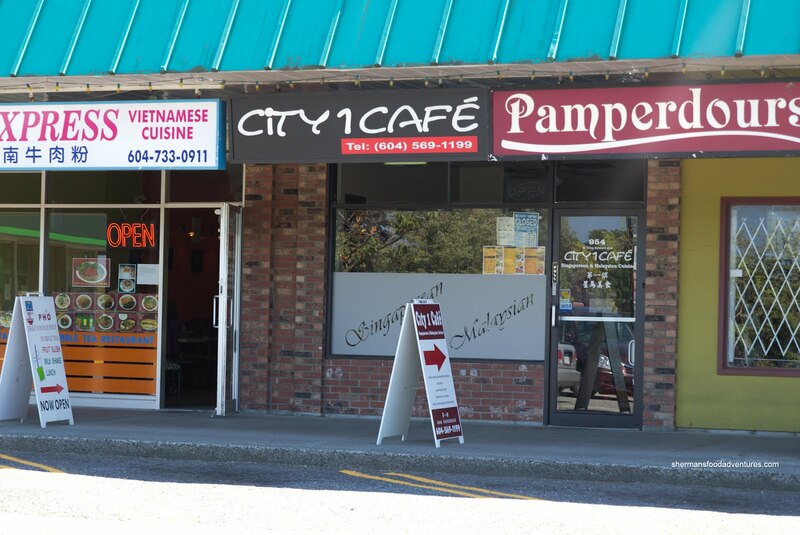 For those who don't really care, City 1 Cafe offers up cuisine that doesn't have a lot of competition nearby. 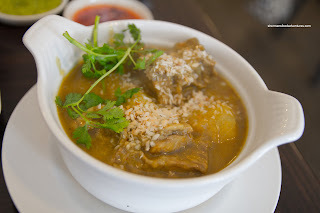 Not my first choice for Malay food in Vancouver, but does the job considering its location. I nominate you, Sherman, to be the chinese triple D host. Somehow, I think your personality would be just fine for this kind of venture. Why don't you start with a podcast? 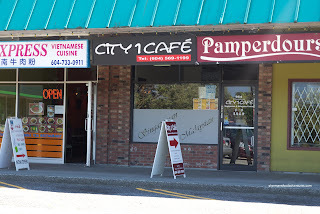 Hey Sherman - being a local yokel to City 1 Cafe, we've been there about half dozen times already. But only for dinner. For dinner I recommend you get the 1/2 de-boned Hainanese Chicken special with comes with 3 bowls of HC oil rice, for $15. We get that, plus either a beef brisket curry, stirfried greenbeans or char kuey teow, and it's a cheap dinner for our family of three. The dinner version of the curry beef brisket is larger by the way. Yes they are Chinese and the food while pretty ok is not 100% authentic. But the prices are good & low.